Tags: Dark Maroon, Gharara, Gold, Long Length, Rust, Walima & Second Day. 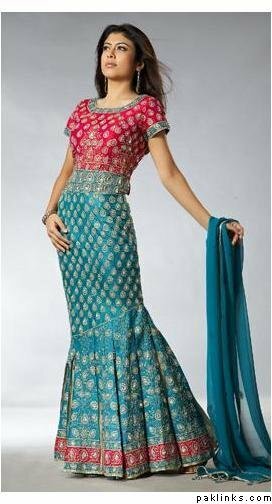 Rust pure chiffon shirt has been embroidered with different types of motifs. 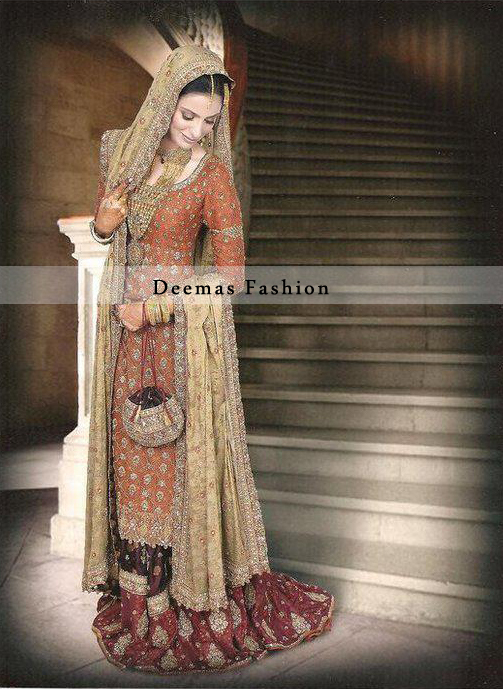 Golden embroidered dupatta with brown & maroon Gharara.